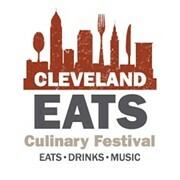 On September 15, more than 30 restaurants and food-driven businesses will descend upon Mall B downtown for the second annual Cleveland Eats festival, which is organized by the Hospitality Management Center of Excellence at Tri-C. 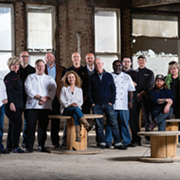 The stated intent of the event is to showcase the hospitality industry’s impact on the Northeast Ohio economy and Tri-C’s role in training the skilled workers needed to power it. The festival’s Culinary Village tents will be filled with chefs, restaurants and food-related businesses offering small plates for $5 or less. Admission to the festival is another $5. The event, which runs from noon to 10 p.m., also features live music and entertainment. Live cooking demos will be taking place all day and a marketplace will feature foods and products from local vendors.